My sweet tooth was acting up and the only thing I wanted to have was some baklava. 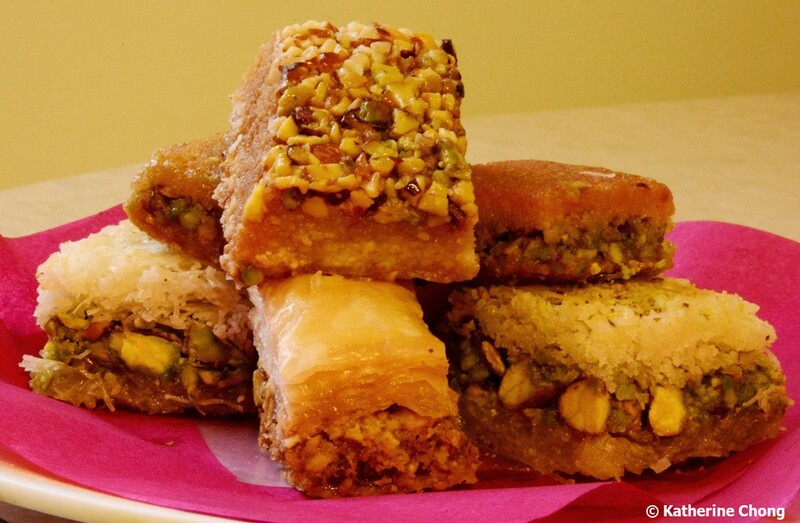 Baklava or baklawa is a dessert item found in many different Eastern European countries that varies depending on region. 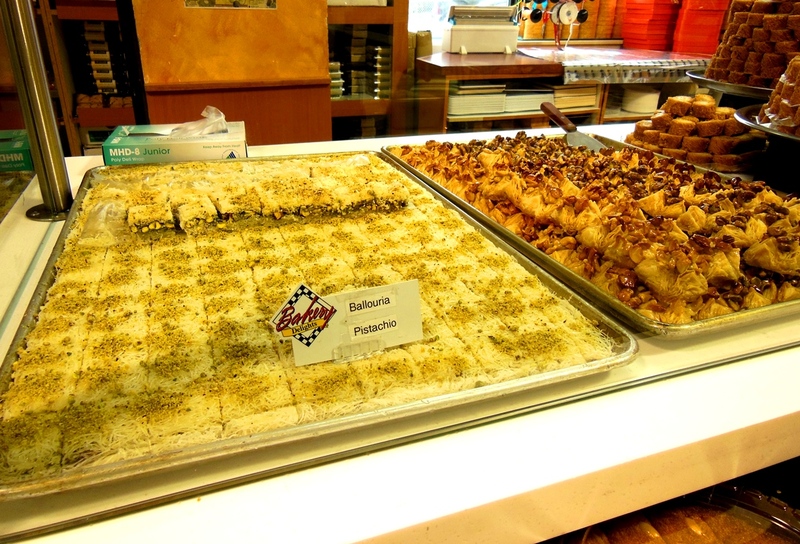 In general, all baklava is made with layers of phyllo pastry, nuts and ladled with lots of syrup or honey. Arz Fine Foods in Scarborough is a specialty grocery store serving the Eastern European and Middle eastern demographic in the area. The baklava at Arz is closer to the middle eastern style where it is common to let the pastry soak in rosewater. Using rosewater infuses this floral fragrance into the dessert adding a whole new dimension to it. 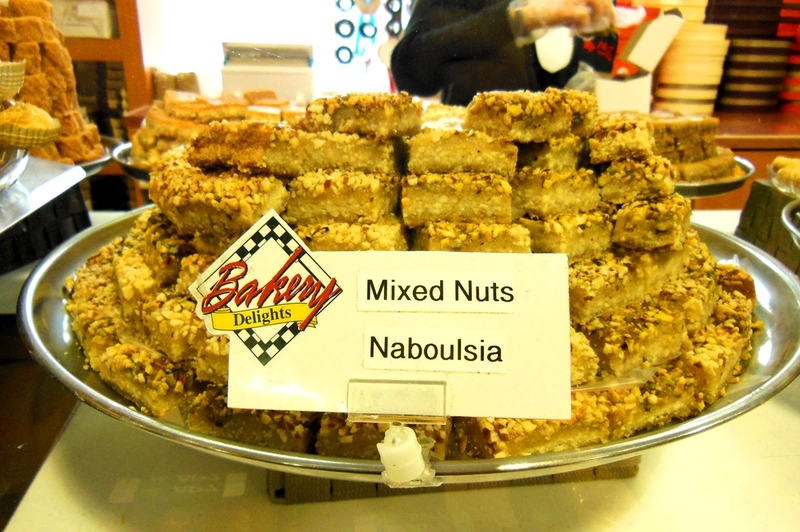 My personal favourite is the ballouria pistachios which is made from shredded phyllo dough with a pistachio filling. I think after this, I’m going to give the greek baklava a try. Will definitely link you guys to that blog post should I go.